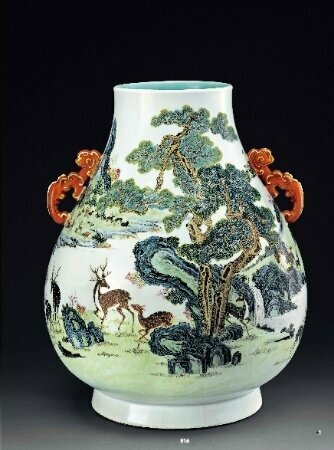 The star lot of the Imperial Treasures sale is a magnificent famille-rose “hundred deer” vase, Qianlong mark and period (1736-1795) (Est. : HK$5,000,000-10,000,000/US$650,000-1,300,000). Photo Tokyo Chuo Auction. HONG KONG.- Tokyo Chuo Auction Hong Kong will hold its Spring Sales from 27 to 28 May 2015 at the Four Seasons Hotel Hong Kong featuring more than 400 fine and rare Chinese paintings, ceramics and works of art and tea wares, including many precious art pieces from Japanese collectors. A special theme sale, Imperial Treasures, will be held for the first time, showcasing superb Imperial works of art from the collections of the Ming and Qing courts. 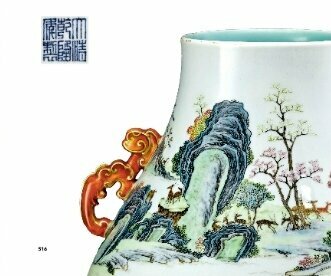 The star lot of the Imperial Treasures sale is a magnificent famille-rose “hundred deer” vase, Qianlong mark and period (1736-1795) (Est. : HK$5,000,000-10,000,000/US$650,000-1,300,000). 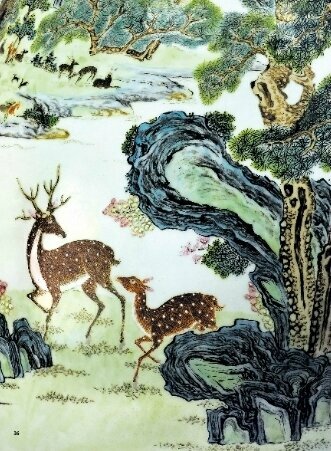 The full-bodied vase is masterfully painted in vivid enamels with a herd of deer grazing, running, playing and resting in a verdant landscape. 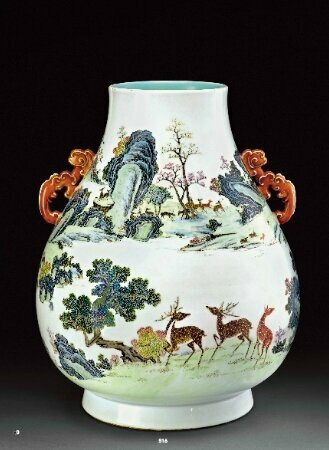 Especially fond of “hundred deer” vases, Emperor Qianlong ordered them to be made numerous times, but very few have survived. One of the finest pieces of Imperial famille-rose porcelain from the Qianlong era, this rare vase is expected to generate enormous interest. 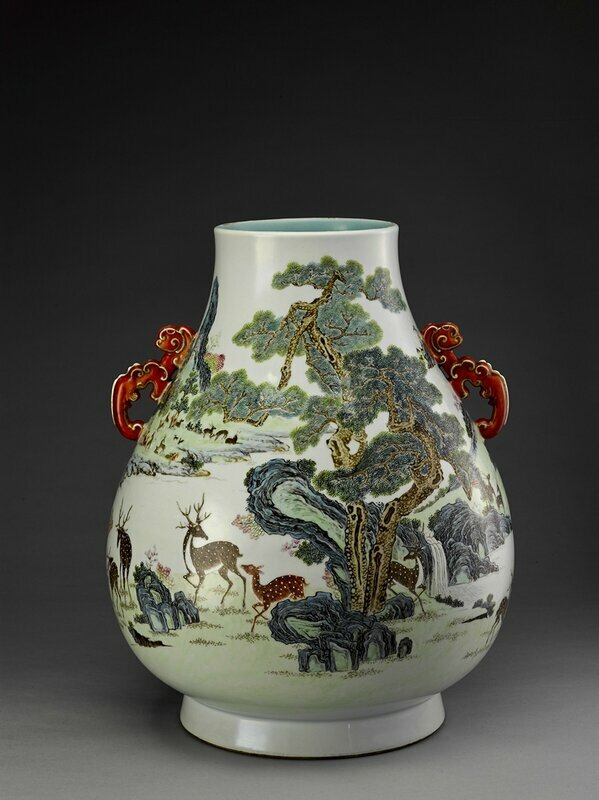 A magnificent famille-rose “hundred deer” vase, Qianlong mark and period (1736-1795). Estimate: HK$5,000,000-10,000,000/US$650,000-1,300,000. Photo Tokyo Chuo Auction. The ICHIGO ICHIE - The Art of Tea Ceremony sale will present a selection of outstanding tea wares, which were treasured by Japanese collectors. A highlight is a gold teapot and cover by Nakagawa Joeki (Est. : HK$280,000-350,000/US$36,400-45,500). 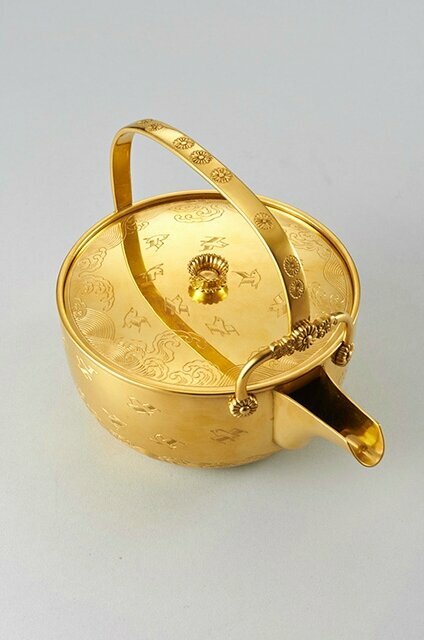 A gold teapot and cover by Nakagawa Joeki. Estimate: HK$280,000-350,000/US$36,400-45,500. Photo Tokyo Chuo Auction. he Fine Chinese Classical Paintings and Calligraphy sale will present rare masterpieces from the Ming and Qing dynasties including precious Taoist and Buddhist artworks. Among the highlights is an exceptional work Poems in running script by the Ming master Wen Zhengming (1470-1559)(Est. : HK$6,000,000-9,000,000/US$780,000-1,170,000). In the Fine Chinese Modern Paintings sale, a superb album, Sceneries in Guangdong by Huang Binhong (1865-1955) (Est. 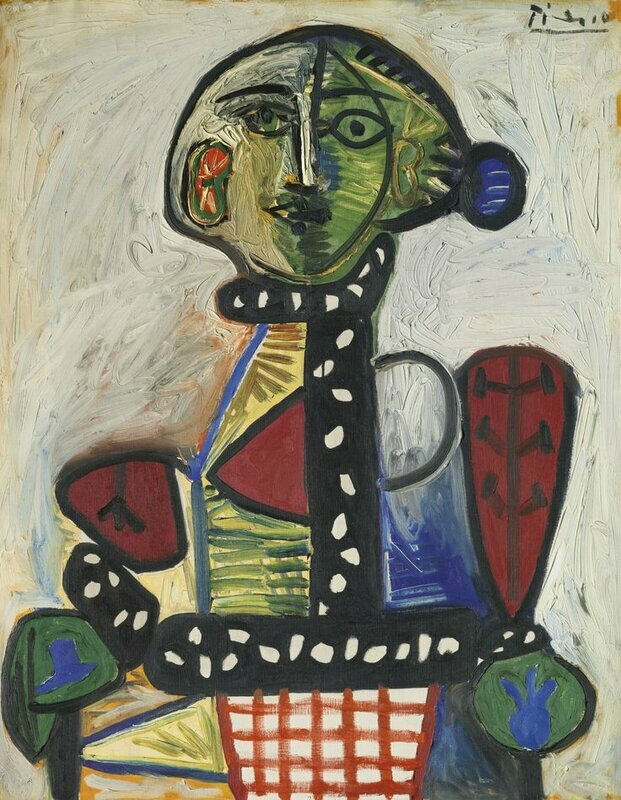 : HK$5,000,000-8,000,000/US$650,000-1,040,000), formerly in the collection of renowned American collector Robert Hatfield Ellsworth (1929-2014) and Summer Mountains by Wu Hufan (1894-1968) (Est. : HK$1,000,000-2,000,000/US$130,000-260,000) will be offered. 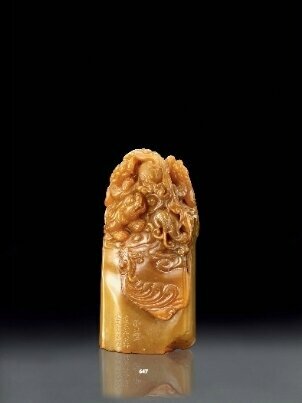 A highlight in the Fine Scholar's Objects sale is a Tianhuang stone “dragon” seal from the Qing dynasty (Est. : HK$800,000-1,200,000/ US$104,000-156,000). 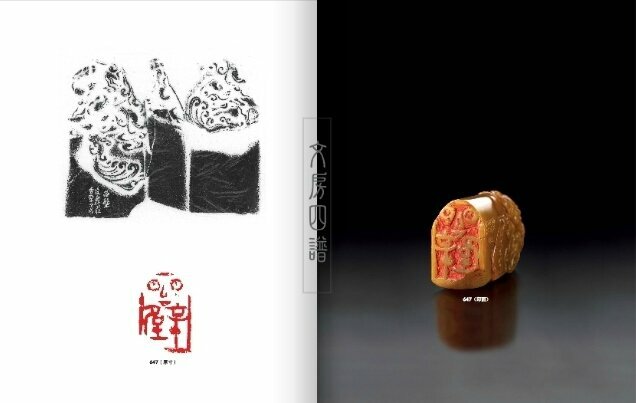 A Tianhuang stone “dragon” seal, Qing dynasty. 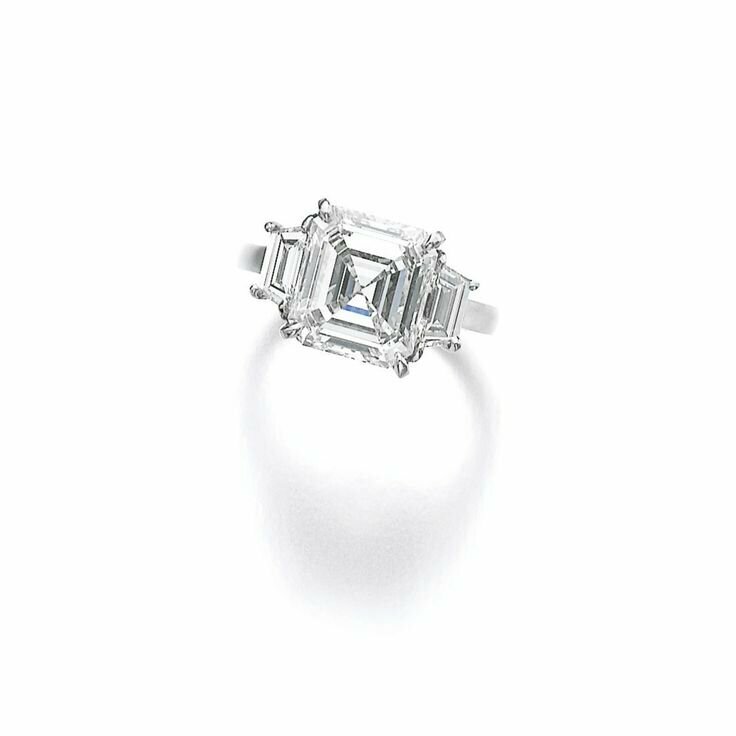 Estimate HK$800,000-1,200,000/ US$104,000-156,000. Photo Tokyo Chuo Auction.